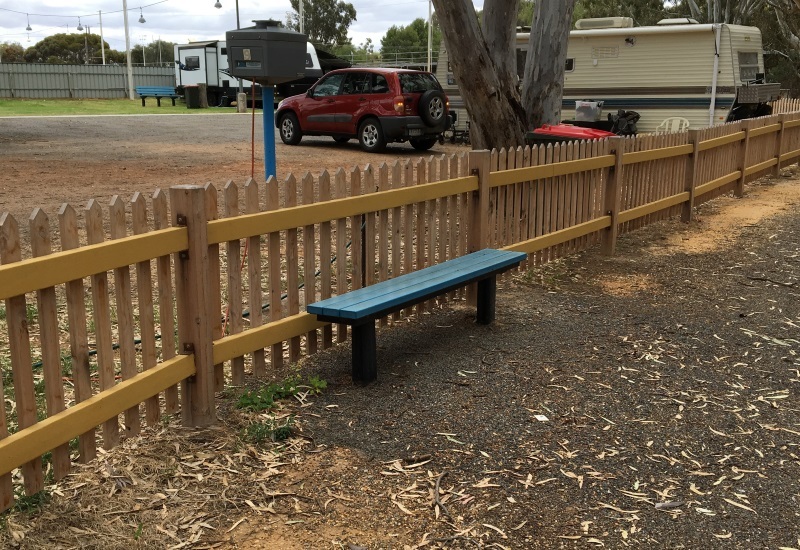 Located in Buloke Shire Council, Charlton Skate Park is home to Replas Premier Setttings, Kimberley Seats, Bollards and more. Buying back recycled plastic products from Replas gives Buloke Shire Council residents the chance to see first hand where their soft plastic recycling goes. With long lasting, durable products made from recycled plastic, Charlton Skate Park will need little maintenance over the years. The Premier Settings offer greater legroom thanks to the clever design of the bench and table supports. 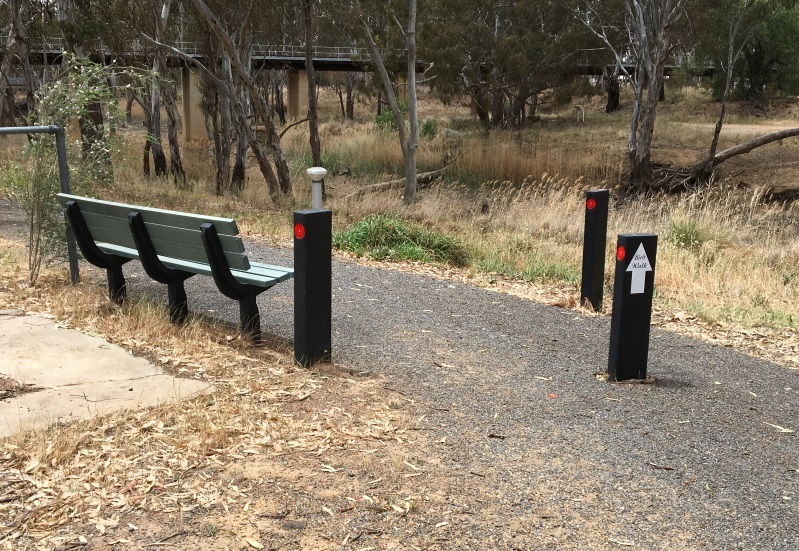 The use of a galvanised steel frame means that only two posts are required to support the benches and table. The setting comes in a choice of slat widths depending on style preference and can be adapted to allow wheelchair access. Kimberley Seats feature an ergonomic design with a smooth curved back for extra comfort. Installed in-ground at Charlton Skate Park, a sturdy free standing model is also available, in your choice of four slat colours. It will not split, splinter or crack and will never need painting, making it ideal for this environment. 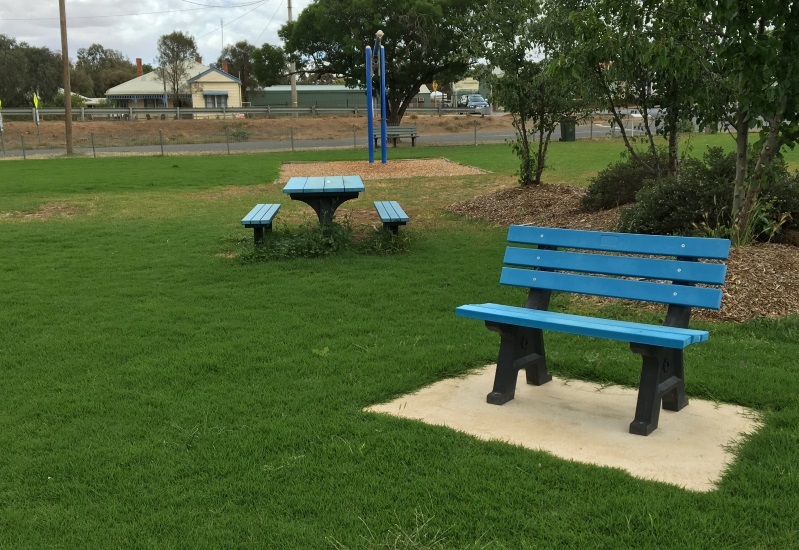 A variation on the original Brolga Bollard, the Flat Top Bollard offers a clean contemporary look and can be adapted to suit signage needs with the addition of plaques, routing or reflectors like at this skate park. The unique double wall construction offers more rigidity which adds to the strength of the installation. While a hollow centre means although the bollards are strong they are extremely lightweight, making them cheaper to transport and easier to install. 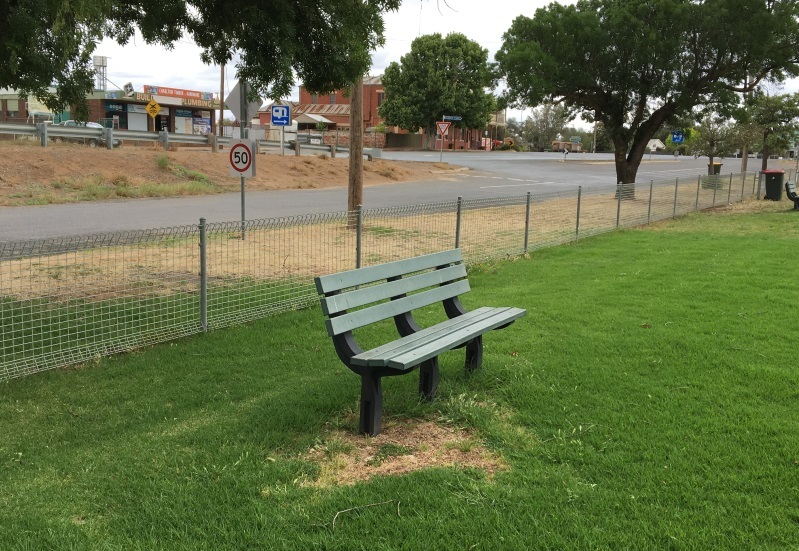 And finally, the Premier Bench that offers greater legroom from the use of a galvanised steel frame, same benches used for the Premier Settings. 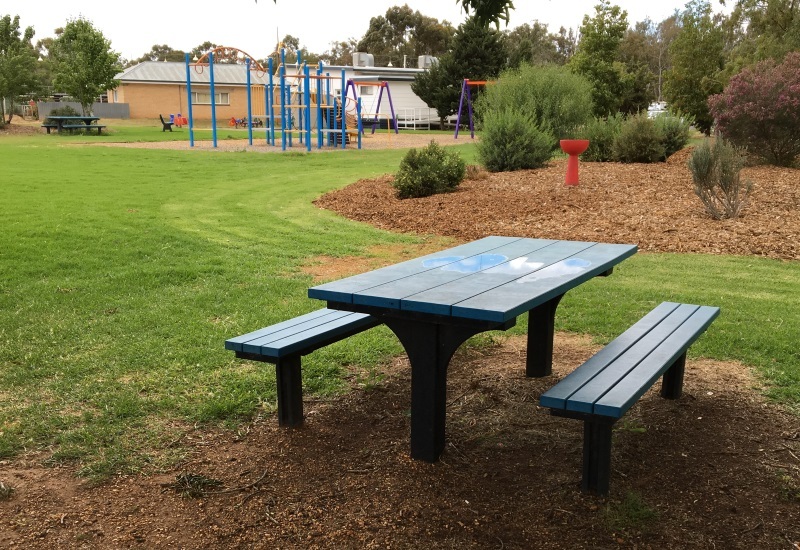 These additions to Charlton Skate Park in Buloke Shire Council will give visitors furniture products that will not split, rot or crack – a great way to enjoy the skate park for many summers to come!